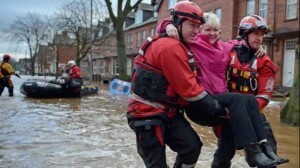 In recent years much of the UK has suffered from the impact of flooding at an enormous emotional and social cost. This has ranged from the widespread flooding of 2006 and 2012, the devastating floods of 2013 and 2014 and more recently the floods in Cumbria and York in early 2016. The increasing incidents of flash floods is now an added risk to community safety. 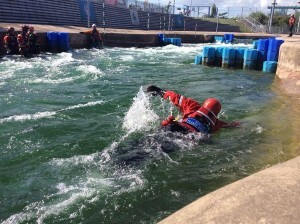 The skills prior learning and resilience of an SLSGB lifeguard are ideally suited to this environment. 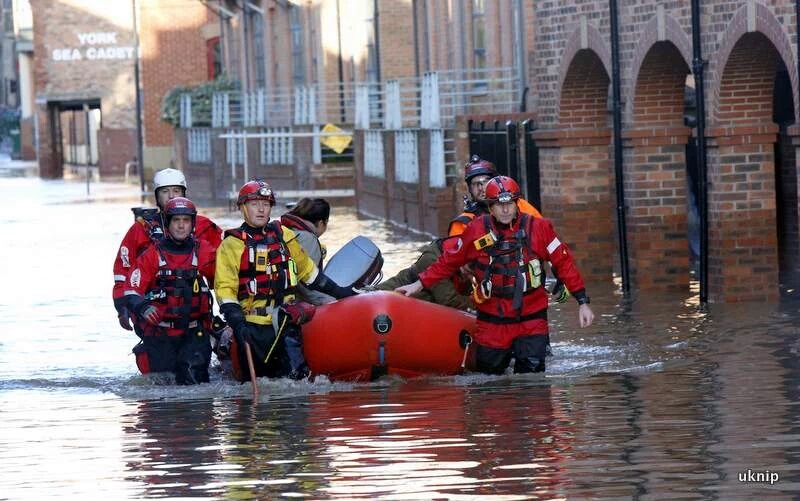 The SLSGB SAR Flood Response Service has access to dedicated, specialised training to meet our need to provide the highest possible professional standard of training and to comply with the DEFRA Concept of Operations. Whilst compliance is important, an assurance of competency is essential when deploying volunteers. The flood environment is probably one of the most dynamic, dangerous theatres of operations for the emergency services. Our SAR flood training has independent accreditation working closely with World leading emergency response experts, Charlotte Fire Department, in North Carolina. When deployed, our teams fully integrate with the Emergency Service Command and Control system. 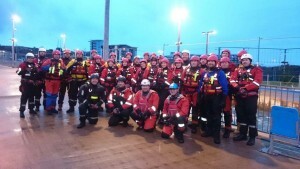 We have over 200 fully trained flood rescue technicians and currently declare 5 flood search and rescue Type Teams to both the FRSNCC and local resilience forums. We are also providing training for Level 1 community welfare flood responders and Terrestrial Search and Rescue as part of plans to strengthen community resilience. Two of our Type B (Boat) teams were deployed to the recent floods in Cumbria and York and were directly responsible for over 250 rescue responses. Our Teams have undertaken many local responses. Interested? As a National Charity we have funding opportunities to support affiliated organisations to train volunteers to become SAR Flood Team members. We can also help other organisations with employees who need to be trained to work in the flood environment. If flood SAR response is something that you would like to support or become involved in either as an individual or an organisation please contact us.